In my half-decade on the far left I’ve been involved in a fair few faction fights (always on the right side of course). As a result I’ve studied a fair few constitutions so as to unearth the technicalities that will lead my chosen side to victory. These various experiences of different “democracies” within socialist organisations has prompted me to think about what truly constitutes a democracy, and why some organisations that at first appear democratic turn out in fact to be the opposite. Democracy is of course essential. Without it, even with the best of intentions, corruption will gradually set in as individuals become more and more socialised into the bureaucracy of an organisation, allowing their vested interests to take precedence over that of the organisation as a whole. If we want to create a genuine socialism then this has to be based on a genuine democracy, any substitution of such democracy and we risk those individuals who assume power in the name of socialism abusing that power and selling us out. Democracy then is a means of exerting pressure on a bureaucracy to ensure its interests are in line with those of the electorate. But what does genuine democracy look like? Without going in to historical arguments over whether this or that revolution created a genuine, democratic socialism, it seems worthwhile to try to dig beneath the surface and gain a better understanding of this sometimes elusive concept. One of the most common tools in the faction-fighters handbook is to claim democratic legitimacy for a given decision because it was taken on the basis of a vote. Clearly, on a fundamental level this is correct, a vote is a democratic means of making a decision, but just because a decision was reached democratically does not mean that the content of that decision is democratic. If an organisation was to vote to suspend all its democracy, instilling a single individual as dictator with ultimate power, that organisation would cease to be a democratic one, despite the decision to do so having been taken democratically. So what are the facets of genuine democracy? The election of those in power is an obvious key component, and different variables around this will determine how democratic the process is. For example an officer who is elected annually, who has a strict mandate beyond which they may not stray, and is subject to recall by the electorate at any time, is going to weigh the opinions of the electorate far heavier in his mind than your average member of parliament, elected every five years and unrecallable. The above procedure is what we might call “structural” democracy, the idealised legalistic form of an organisation’s democracy that is typically encoded in a constitution. However this alone is not sufficient. During 2006/7, Scottish Socialist Party conferences were uncontentious affairs. We had just seen the large factions which had made previous conferences lively events split from the organisation, this left the existing leadership of the SSP utterly uncontested. Motion after motion was voted through with little debate. This did not feel like democracy, and indeed it wasn’t. Though the SSP was hugely structurally democratic (at least relative to other far left political parties) the culture of democracy had disappeared from the organisation1. A culture of democracy is just as important as having formally democratic structures, indeed the latter without the former is no real democracy at all. If discussions only take place between a handful of officers and are rarely conducted amongst the wider membership then the wider membership will disengage and habitually rely on others to make decisions for them. A culture of discussion can be difficult to create, in order to make it work a large piece of the puzzle is often having structures that serve to prompt discussion. On the surface, taking decisions through a ballot of the entire membership of an organisation is as democratic as it gets. Every member has an equal say and through the secrecy of the ballot is protected from peer pressure or intimidation. The underlying assumption of such a ballot is the autonomy of the individual, free to make up his or her own mind as they please. The problem with this is that the individual is atomised, expected to make up their mind on the basis of their impressions of a situation with which they may not be involved in. They may have access to the motion and some formalised written debate around it, but few are likely to read it, and fewer still to discuss it at length with their comrades. 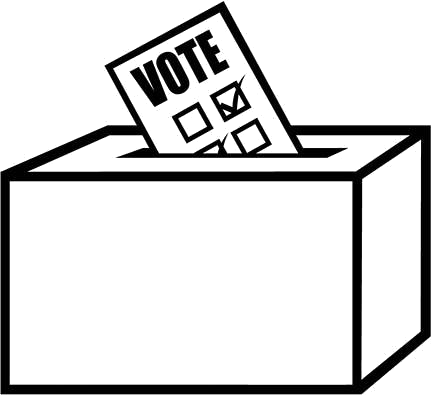 The alternative to the ballot is a delegative democracy. Here each branch of the organisation gets together and discusses the issue in question. It then takes a vote and mandates its delegate on that basis. This means that individuals who have not participated in the debate, who are less involved in the organisation, must get themselves more involved in order to have a say. Whilst for some individuals this may pose problems, branch meetings may be inaccessible to them for some reason, the solution lies in tackling this problem head on, after all, if they cant participate in the basic organs of the organisation then there is a far more fundamental problem. Clever structures such as delegative democracy don’t make a democratic culture on their own however, after all, there seems little point in turning up to a branch meeting to vote if you are only allowed to vote on minor issues, or if your votes will be worked around and rendered ineffectual by those who wield power within the organisation. In order to engage people in our democracy we need to ensure that our democratic bodies have a power of their own, and to do this we need an understanding of power. Though I left the SSP shortly after this I should point out that it has seemingly become a lot more democratic in terms of organisation-wide discussions of late. This entry was posted in Uncategorized and tagged Democracy, Political theory, Power. Bookmark the permalink.